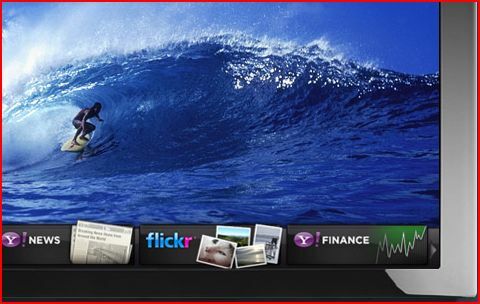 Thought Yahoo widgets looked nice on your pc only? Think again! Soon you’ll be able to run widgets on the next generation of TV screens. Yahoo has made agreements with leading TV manufacturers like Samsung, Sony and LG to use their widget system on the television screens. New chips inside the TVs will carry extra software that will be able to run the widgets, as well as connect to the internet.